Self-catering holiday rental accommodation in cottages, gites, apartments, villas and chalets in Europe. Accommodation in self catering holiday homes throughout Europe at great prices. 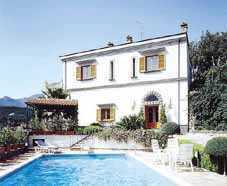 Self Catering Information for holiday homes in Europe. Fantastic choice - Fantastic price on holiday homes, villas, chalets and apartments! We offer self-catering accommodation from two of Europe's leading providers, Belvilla and Interhome. Between them you can access almost 40,000 properties throughout Europe. In addition they have built a reputation for excellent service combined with great value for money. Both companies offer every type of holiday home and often at prices which need to be seen to be believed. With thirty years experience in self-catering accommodation, Belvilla has become one of the largest European providers of holiday homes, with over 18,000 properties. More than 500,000 guests stay in a Belvilla property annually. Belvilla homes are typical of their region. You'll find half-timbered houses in Germany, Agriturismo eco properties in Italy, Spanish fincas (small-holdings), villas in the light and airy Provençal style and rustic cottages in the Ardennes. You might even stumble upon some really unusual accommodation, such as a cave dwelling or a houseboat! Interhome has more than 40 years of experience. Currently the largest provider of quality holiday apartments and villas in Europe, with around 20,000 self-catering homes and apartments for rent in 16 European countries and in Florida. A swiss company, Interhome has a UK booking centre and offices in resorts throughout Europe. All Interhome homes and apartments are well maintained, with experienced holiday rental specialists in 57 offices. Local keyholders are available to assist you. On the beach in a lively holiday resort, or tucked away in the peaceful countryside; in a bustling city or a quaint mountain village; from a small modest house to an elegant villa, a cabin in the hills to an exquisite castle. You can choose exactly where you want to stay. A holiday home to suit every requirement and every budget. Use the Drive-Alive holiday planner to book your holiday rental accommodation and take advantage of our low prices on channel crossings and en-route hotels. Or just book your self-catering rental property if you've made other transport arrangements. Whether you're looking for a German castle, French chateau, villa in Spain or Tuscany, Belgian farmhouse, gite in the Dordogne, cottage in Normandy or Brittany, a Swiss chalet or apartment in the Alps, you're sure to find the right holiday property. Drive-Alive offer links to properties in Austria, Belgium, France, Germany, Italy, Luxembourg, Spain and Switzerland and the rest of Europe. Choose your self-catering holiday home. 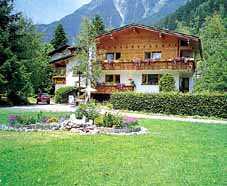 Self catering holidays in Europe information.